The thing that bothers me about Bootstrap is loading so much library for a few simple things, as well, so thank you very much for this jQuery-less version of Bootstrap. Performance is a big issue on websites in general today, as I see you have noticed. Thanks John. It doesn’t have perfect coverage for what jQuery provides but I hope it helps in certain use cases. Great!! I really love every new light and fresh enhancement and idea. You are right. If we don’t need jQuery here, it’s only overhead. Will this work with Bootstrap 3? Good question. I haven’t look at Bootstrap 3 but I think class names, etc. have changed so this script probably won’t work. Already works with Bootstrap 3? I haven’t tried it but I don’t think so, unfortunately. I haven’t had time to look into an updated version for Bootstrap 3 yet – hopefully soon. My script is free and open source (click on the Download link above), just like Bootstrap itself. I know. I want to pay for upgraded service to bootstrap 3. Your script is still free. ps: Sorry for my poor english. I am Brazilian. 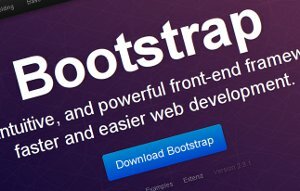 Hi, Do you have any plans to create a fix for the latest version of Bootstrap? Sorry but I don’t really have the time at the moment. I’d like to update the script at some point, unless somebody else can do it and send me a pull request. Geat, Gracias por el aporte! Used https://tagawa.github.io/bootstrap-without-jquery/bootstrap2/demo/ as src and replaced the css, js urls and href “#” with http://google.com. The dropdown opens but won’t follow the url. Thanks very much for reporting this. did a test with 0.3.1 and the old version works with firefox 36. This is superb! Just what I need! Thanks for the work! Thanks a lot for this script. I had a compatibility issue between Spip and Bootstrap. Good idea. I had been thinking about stripping out bootstrap just for structural use. I believe using as much pure CSS elements as possible. My biggest quirk is that BS JS conflict too much with other js oriented elements whether they are bootstrap or not. Will you be doing this with Bootstrap 4?